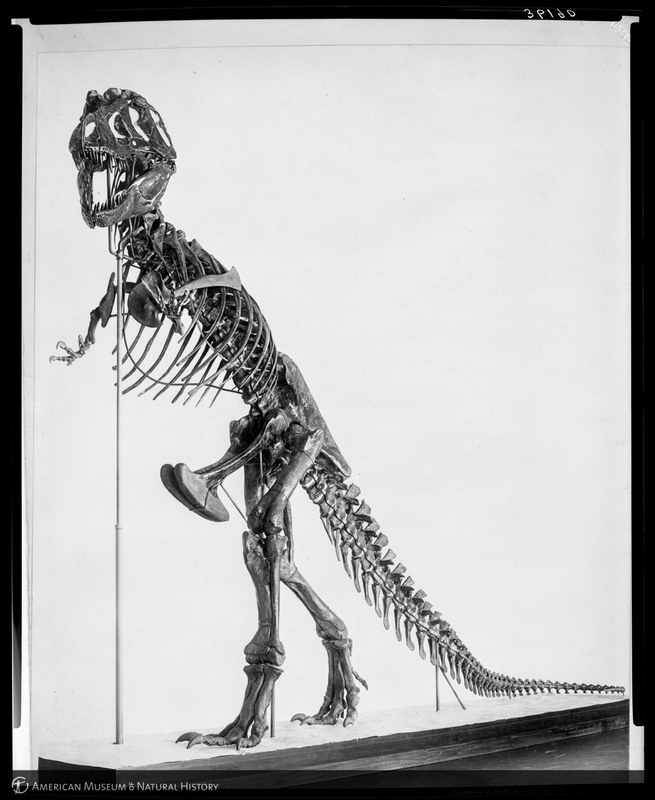 “Tyrannosaurus Rex skeleton, anterior oblique, November, 1915,” AMNH Research Library | Digital Special Collections, accessed April 21, 2019, http://lbry-web-007.amnh.org/digital/items/show/90656. 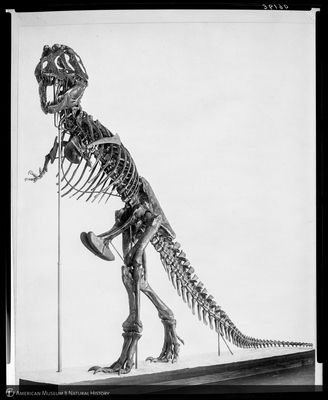 Typed on negative sleeve: "Incorrect reconstruction model, should be 2 fingered rather than 3 fingered. Per note addressed to Mr. Elwood Logan, found in files, 1/80"